Henry J. M. Nouwen first met his friend Fred Bratman when Bratman was interviewing Nouwen for the New York Times. 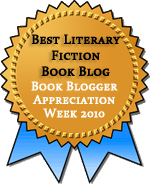 Sensing the Bratman wasn’t especially happy in his work, Nouwen encouraged him to pursue his dream of writing a book. The two men became good friends, despite their many differences in outlook and lifestyle. Nouwen was a Catholic priest who wrote extensively about Christianity and the spiritual life. Bratman was a secular Jew living in New York City. Bratman was interested in Nouwen’s work but didn’t feel a connection to the content, so one day he suggested that Nouwen write a book for him and people like him. This little book is the result. These voices are so loud and so persistent that it is easy to believe them. That’s the great trap. It is the trap of self-rejection. 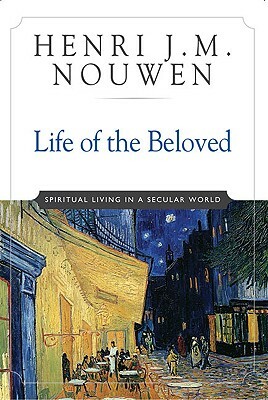 In the remaining chapters, Nouwen writes about the kind of mental and spiritual habits and ways of life that can bring the knowledge of being the Beloved into daily life—“to close the gap between what I know myself to be and the countless specific realities of everyday life.” He sums up this kind of life in four words: “taken” (or chosen); “blessed”; “broken”; and “given.” Then, he tells stories and offers reflections on what each of these words mean. This is precisely the kind of book I often find it difficult to like. There are a lot of wise sayings and the occasional lovely-sounding expression whose meaning isn’t clear. It’s not particularly intellectual, and some of his remarks are more platitudinous than substantive. But there’s a sense of authenticity in Nouwen’s voice that makes his writing much more palatable that so much inspirational self-help writing. He writes of some of his own struggles with depression and his feelings of inferiority, and he tells stories of residents of the L’Arche community in Toronto where he served as pastor. Also helpful is that fact that this is a short book, only 149 pages with no much type on each page. I read it in the space of a single afternoon. If it had been longer, I think I would have gotten tired of it. Nouwen concludes be sharing that when he presented this book to his friend Bratman he learned that it didn’t connect with him any more than Nouwen’s previous books had. Their perspectives were just too different. Given how much Nouwen emphasized being Beloved (by God) as well as being Taken and Blessed (also by God), I didn’t find his friend’s reaction to be much of a surprise. Much of what Nouwen says presumes some sort of awareness of a higher power or spiritual plane. Much of it would be useful to those who are skeptical about God, but the main argument rests on a belief in God’s presence, and it’s hard to get away from that, as Nouwen himself acknowledges. But for those who do believe, this book offers valuable wisdom on remembering who we all are. We are the Beloved. I always say that the most important conversation we ever have is the one we have with ourselves. This book sounds like an important read.